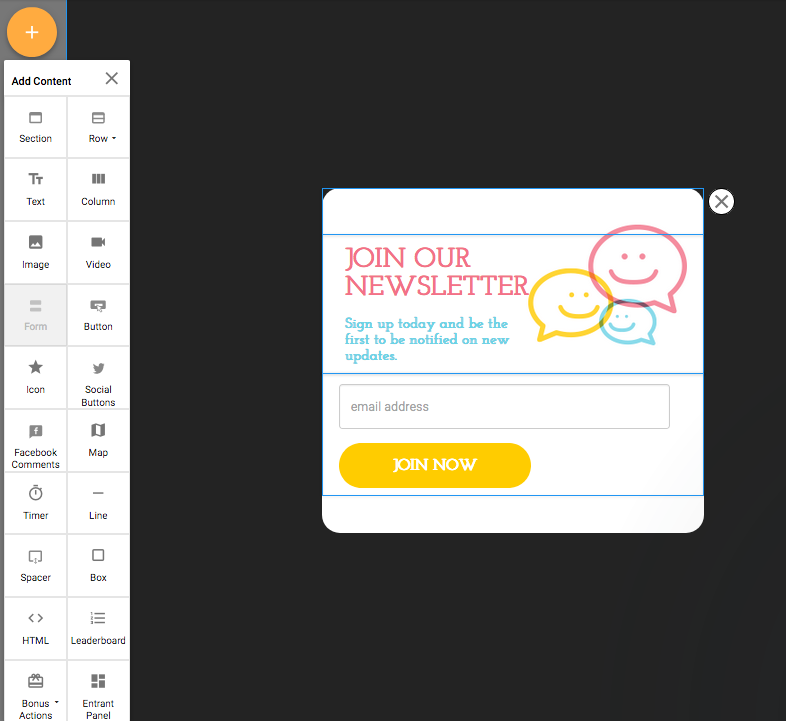 Popups are a great way to capture more leads on your page. You can choose different types depending on when you hope to capture your leads. Exist popups are a great way to make one last offer to visitors before they leave your page. 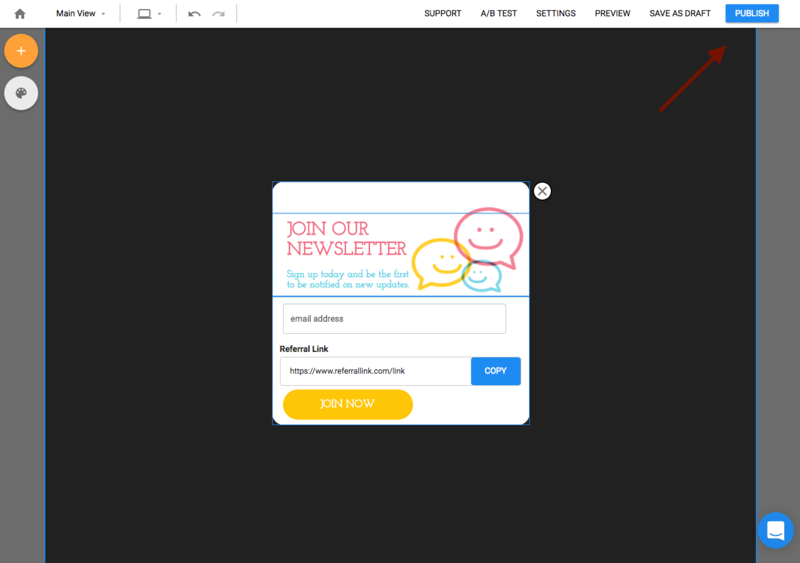 Entry popups are great if you have an offer you want to bring to their attention as soon as they visit the page. As you can tell popups bring the attention of your visitor to a focused call to action which is why they can be so effective. 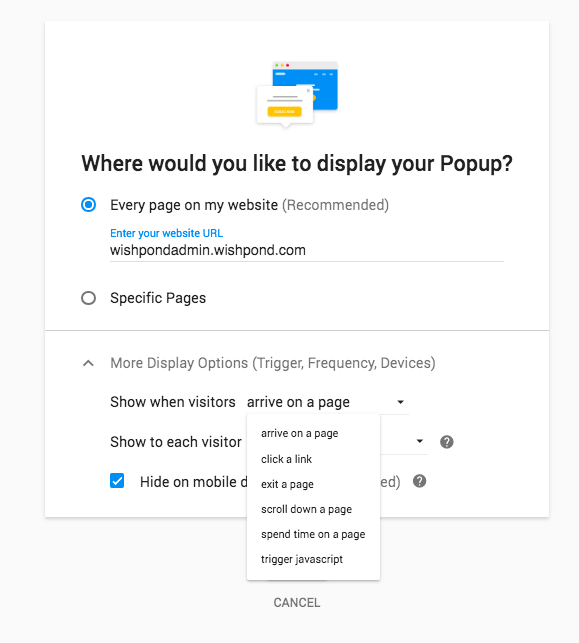 This guide goes through how you can create your popup on Wishpond and the various settings in the editor to customize it specific to your goals. 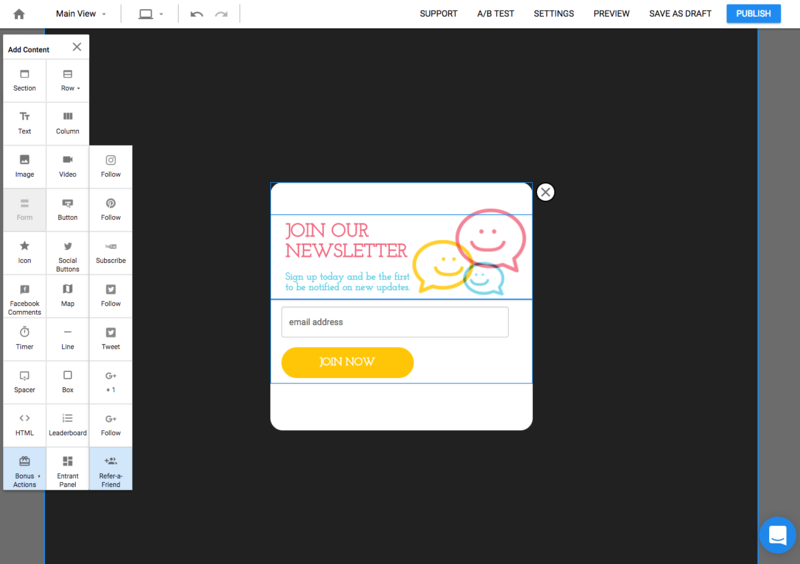 Wishpond has a Welcome Mat, Opt-in bar, and Slide which are popups with their settings set sepicific to these. In this guide we will go through the popup campaign however the others include the same settings. 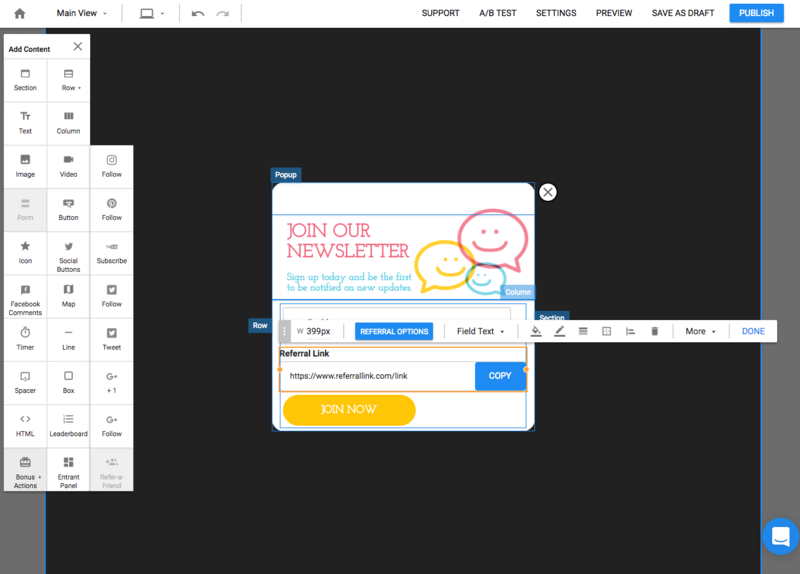 Add Content to your popup by clicking on the yellow '+' icon to the left of the editor. 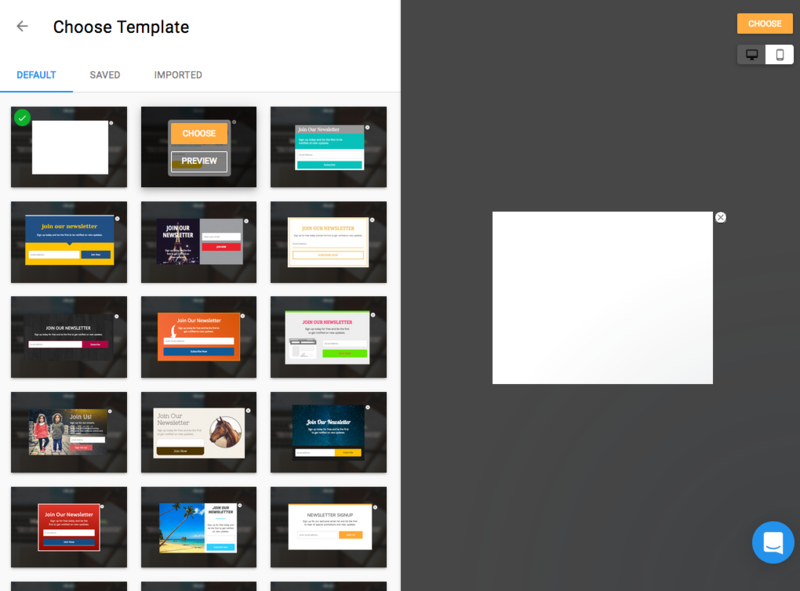 To add content to your popup drag and drop them where you'd like them to appear on the page. 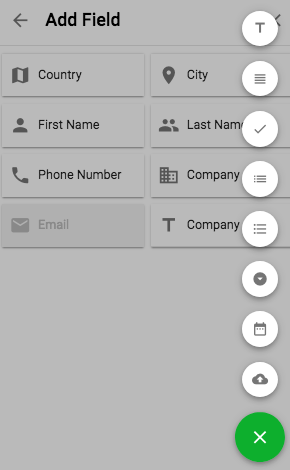 You can add default or custom form fields by clicking the icon in the bottom right corner of the field options. Change the popup's design by clicking on the palette icon in the upper left corner of the editor. 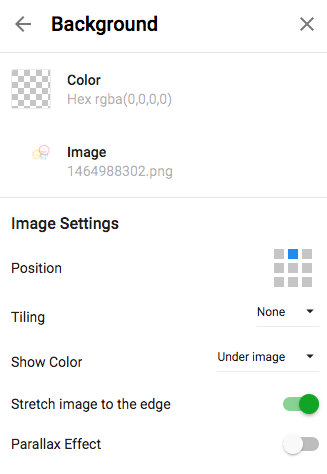 You can change the background, border, sections borders and add more advanced settings. 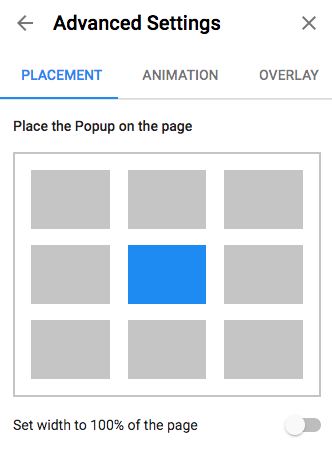 The background and section background allow you to up load an image or select a color for your popup. You can also position the image on the popup. 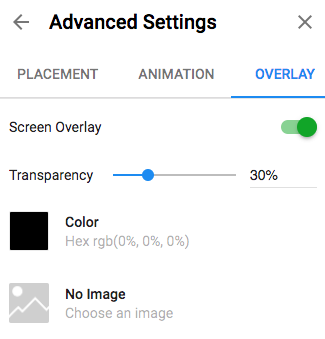 Advanced Settings lets you set the placement of the popup, add animation and edit the overlay. 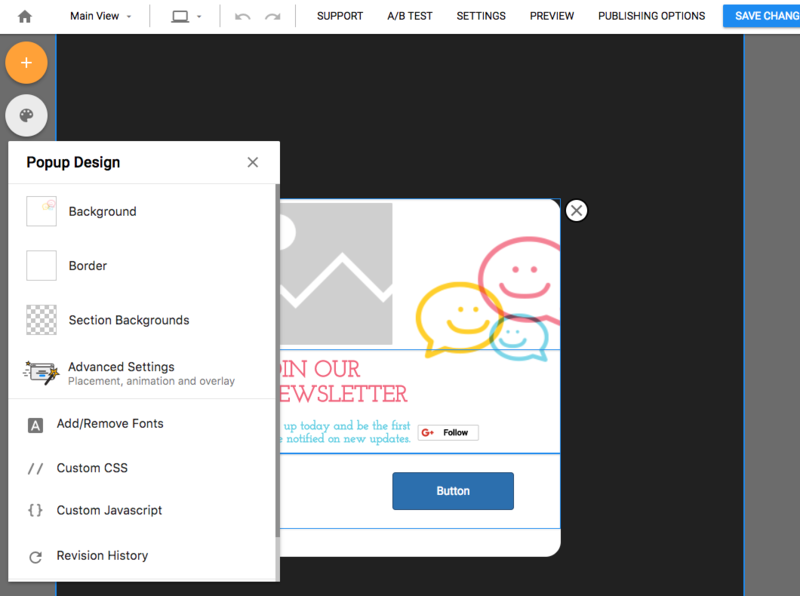 The Welcome mat, Slide in popup and opt-in bar are all popups created with these customized settings already set up. 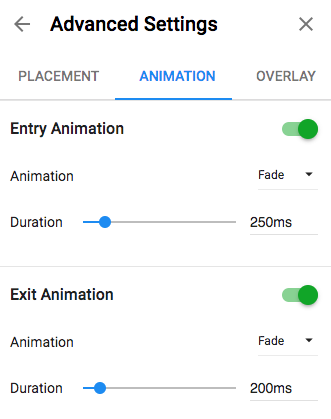 You can add 'Fade' 'Slide' or 'Foldup' animation styles for when the popup enters and exits the page. 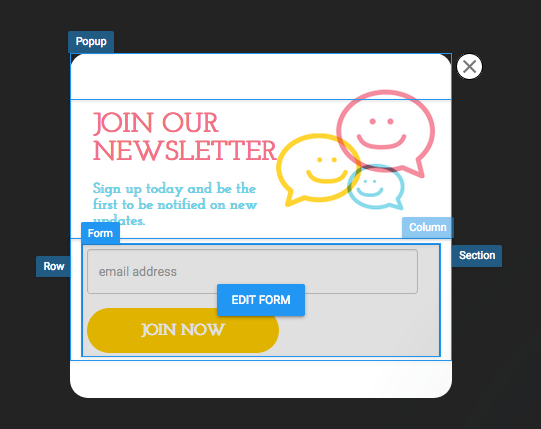 The overlay transparency can be adjusted to bring more attention to your popup away from the webpage. Once you've designed our popup you're ready to publish your popup. Once you choose the type of popup, add the code to your wepbage and select the Match rules to trigger the popup.